These three books by Dave Reisman will help with teaching kids about animals but in a fun way and with a hidden lesson. My two youngest children have enjoyed them immensely. They aren’t just fun and educational, they also teach an important value… keep reading! 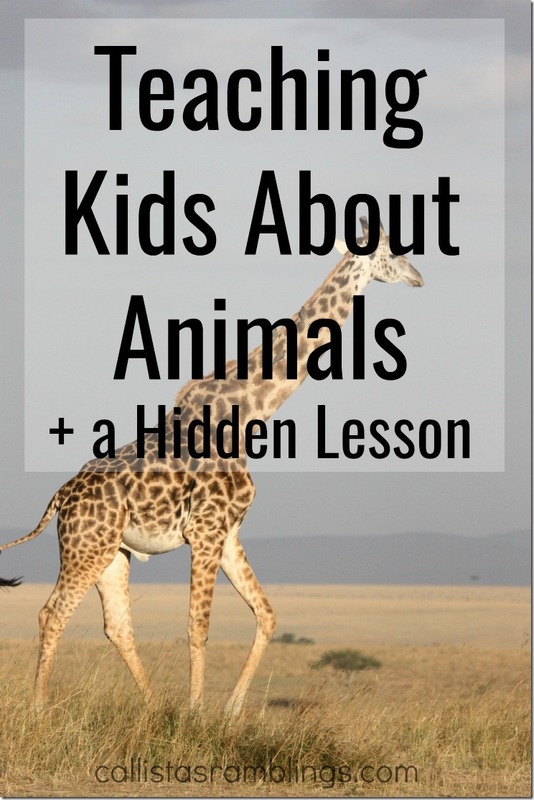 I’ve also included some ways you can round out the books and make it a lesson on animals AND that extra value! Disclosure: I received these books from the author in exchange for a feature. This post contains affiliate links. I will make a small commission if you make a purchase through these links. There are tons of books for kids about animals but they are all very similar. Most are just funny stories where the animals are often alive or live in a house. The typical animal children’s nonfiction book shows an animal per page with information on it’s species, habitat and way of life. while keeping it simple and memorable. Now children as young as 2 can start learning about animals and what they DO, how they MOVE and what they SAY. Each book from Jumping Cow Press illustrates something the animal can’t do but is followed by what the animal can do. What this means is that the books show children that it’s okay to be different. It’s okay if they can’t do something because they can do something else. How can you use these books for a lesson on animals for kids? Pick one of the animals from one of the books and do some research on what else the animal can do or how they act. Pick one of the animals from the books and find out HOW and WHY they make the sound they do. Are they warning others? Showing interest? Etc. Draw one of the animals from the book or look up crafts for that animal and make one. Include it doing something that animal does and write the sound it would say. Pick an animal and make one week that animal week. e.g. Cow Week or Elephant Week. Watch documentaries, read books and make crafts on that animal. Make a book with your child about family and friends and what they can and can’t do. Mommy can’t drive… but she can blog! Daddy can’t blog… but he can woodburn! Aria can’t woodburn… but she can do puzzles. Morgan can’t do puzzles… but she can draw. Liam can’t draw… but he can play video games! Grandma can’t play video games… but she can crochet. Connor can’t crochet… but he can skateboard. Alastrin can’t skateboard… but she can dance. Staple some papers together and can make your own book. Each child could illustrate their own page and some of the others. You might have to be creative if you have babies or toddlers. Put them last if you can, or use something they can do that you don’t do anymore like drink bottles.